Pippy Houldsworth Gallery is delighted to present Breeeeze, an exhibition comprising works by Miriam Hansen, Stefanie Heinze, Annika Kleist and Orr Menirom. These four artists contribute to a multidisciplinary exhibition of painting, drawing, video and installation. Pippy Houldsworth Gallery is delighted to present Breeeeze, an exhibition comprising works by Miriam Hansen, Stefanie Heinze, Annika Kleist and Orr Menirom. These four artists contribute to a multidisciplinary exhibition of painting, drawing, video and installation, running from 23 November 2018 until 12 January 2019. 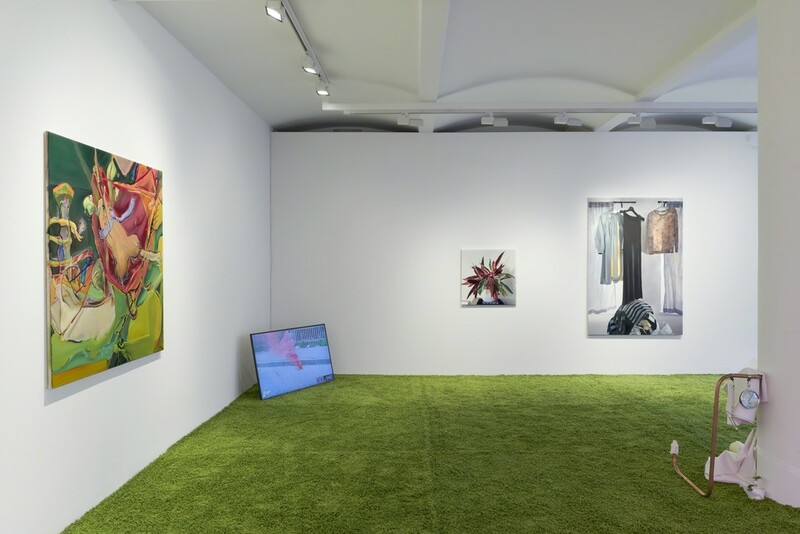 The works, as though connected by a breeze, invite unexpected encounters and propose different modes of interaction within and beyond the gallery space. 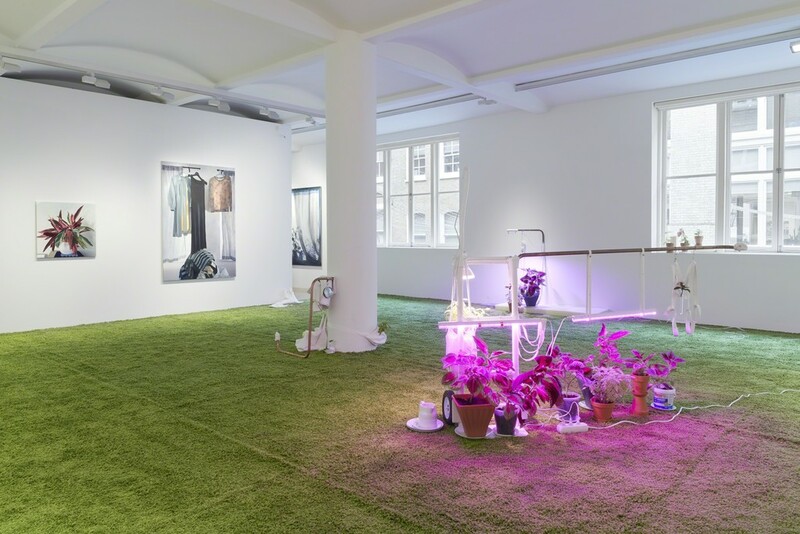 Miriam Hansen uses plants as part of her site-specific installation, introducing a literal iteration of the ‘aliveness’ present in her work. Plants ‘quickly became an obsession’, and as she collected cuttings from friends and gardens she found they were increasingly dictating her working method. Hansen aims to create an enclosed habitat where plants – as well as people – can thrive and be happy. Her organic environment encourages contemplation on empathy and our ‘relation to other beings’, human or otherwise. The common houseplant species she cultivates is falsely linked to a mythical psychoactive plant used in Mazatec Indian spiritual practices. 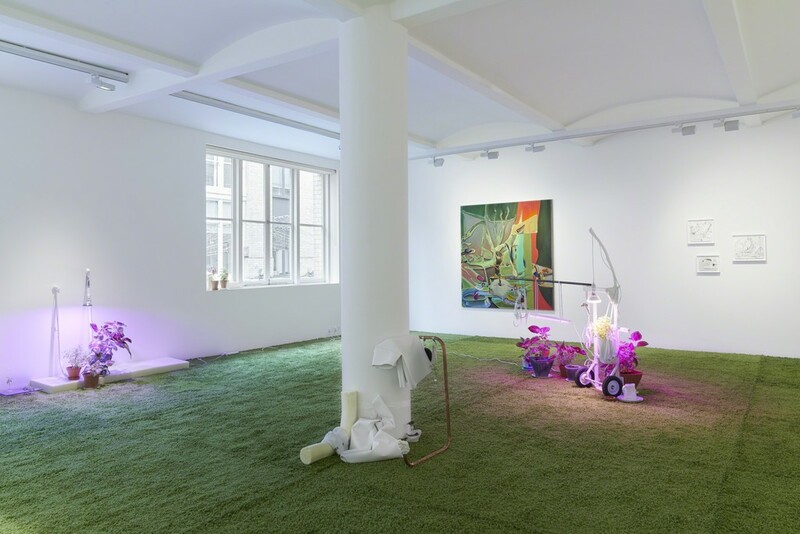 Hansen builds on the pre-existing myth around the plants by adding ‘art object’ to its proliferating list of definitions. 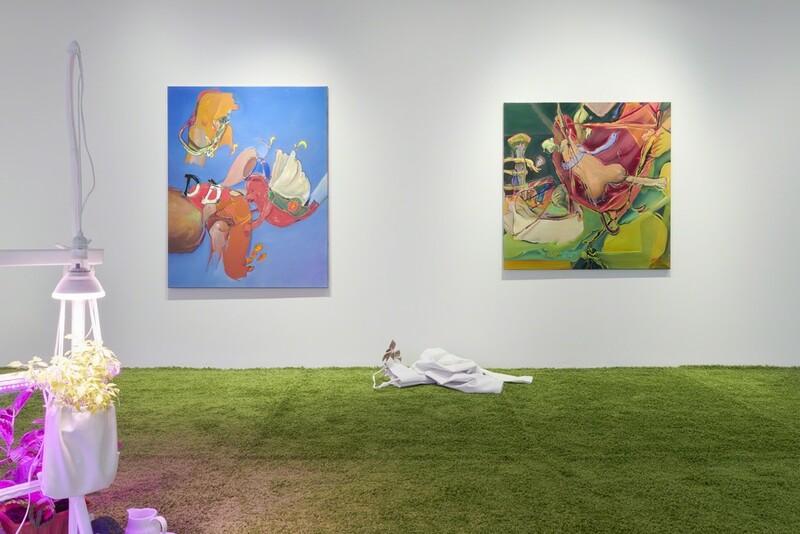 Stefanie Heinze’s paintings lurch between greater and lesser abstraction, perverse and humorous in their approach. Defining forms using colour and tonal modelling, she blurs the boundaries between objects and the spaces they inhabit. A selection of the artist’s drawings are shown alongside her paintings, illuminating the often invisible labour of the artistic process. The linear quality of her more personal – as Heinze says, ‘naked’ – drawings depicts static boundaries between the interior and exterior of each element, in contrast with the painted canvas where Heinze’s nebulous bodies come to life. The stillness of Annika Kleist’s paintings of domestic interiors filled with plants, mirrors and cupboards renders them more akin to portraits. The objects’ apparent agency unveils their inner life, which, seen in relation to vacated space, explores existence within the private sphere. This displacement functions analogously to Menirom’s transformation of the content of the footage in her work. Here, the shifted meaning of Kleist’s interiors remain obscured, highlighting the inherent secrecy of private life which may be comforting or disquieting. Orr Menirom similarly unravels coherent form in Homewrecker (2015/18), combining self-shot film with found content downloaded from social media and replacing its original audio with a pop song. The film examines how femininity, identity and relationships may be impacted by personal experience and by the barrage of images that the media offers us. Juxtaposing imagery of men throwing teargas grenades during the bombing of Gaza with a crowd of young women competing to catch a bridal bouquet, Menirom highlights the paradox of social media, which offers greater connection whilst alienating us from the events that we view. Miriam Hansen (b. 1988, Norway) lives and works in Oslo. She holds a BFA (2013) and MFA (2015) from The Academy of Fine Art, Oslo (2015). This year she completed a residency at the Nordic Artists’ Centre Dale, funded by the Norwegian Ministry of Culture. In 2016 Hansen had a solo exhibition at PODIUM, Oslo, supported by Arts Council Norway. Other recent exhibitions include those at Hildelund Art Festival, Västra Ämtervik (2018); Konstepidemin, Göteborg (2017); Kunstnernes Hus, Oslo (2015); Rogaland Kunstsenter Studio 17, Stavanger (2015); Akademirommet, Oslo (2015); Demon’s mouth, Oslo (2014), and Oslo Ladegård, Oslo (2014). Astrup Fearnley Museum of Modern Art, Oslo, has selected Hansen as one of the five artists for their 25-year anniversary exhibition opening next year. Stefanie Heinze (b. 1987, Germany), who lives and works in Berlin, has been represented by Pippy Houldsworth Gallery since 2016. She was selected for the residency program at Skowhegan School of Painting and Sculpture, Maine that same year. 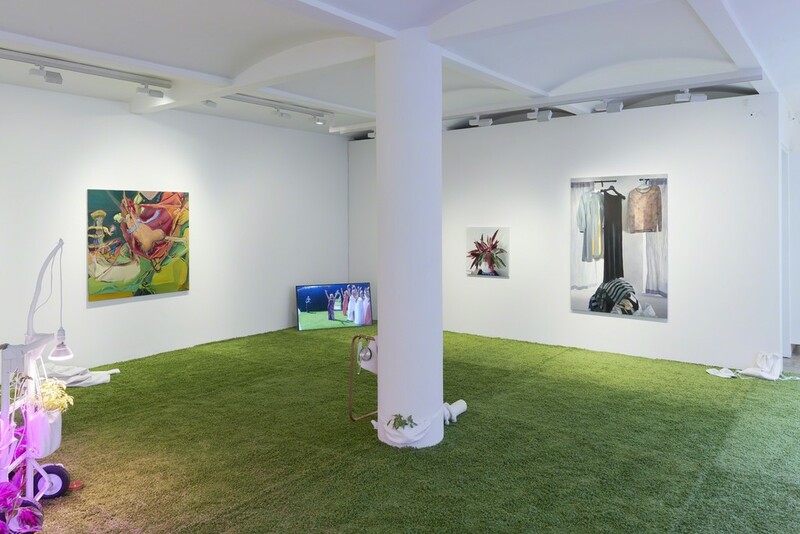 Recent solo exhibitions include Genuflect Softly #1, Pippy Houldsworth Gallery, London (2017) and Food for the Young (Oozing Out), Mary Boone Gallery, New York in collaboration with Pippy Houldsworth (2018). Recent groups shows include those at Tanya Leighton, Berlin, Saatchi Gallery, London, and Ginerva Gambino, Cologne. 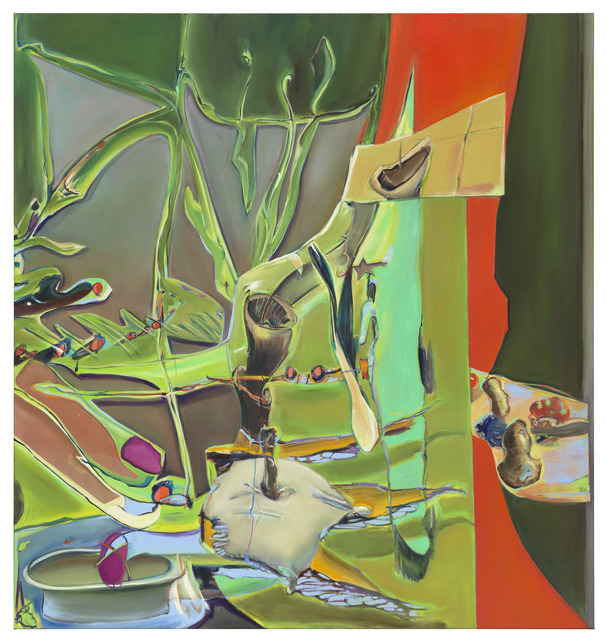 Heinze is currently working toward a solo exhibition at Capitain Petzel, Berlin to open during Gallery Weekend 2019. Annika Kleist (b. 1986, Germany) lives and works in Leipzig. She received her diploma from the Academy of Visual Arts, Leipzig in 2014, and has also attended Camberwell College of the Arts, London. 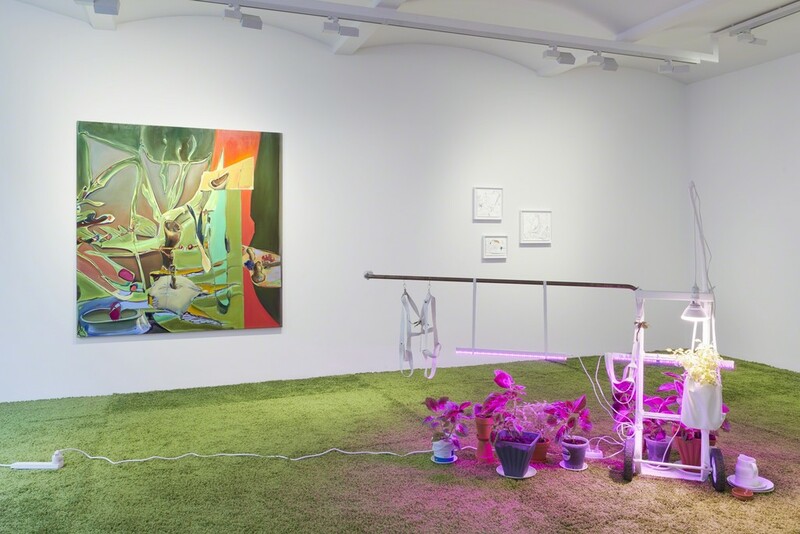 In 2018 Kleist had a solo exhibition at Galerie Kleindienst, Liepzig. 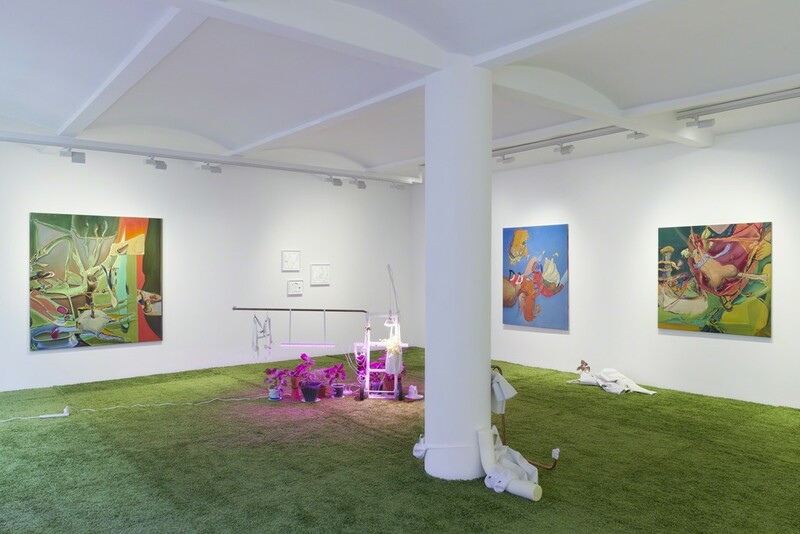 Other recent exhibitions include those at Kunstverein Tiergarten, Berlin (2017); Gallery Gisela Clement, Bonn (2016); SSZ Sued, Cologne (2015); Thaler Originalgrafik, Nuremberg (2015); Wiensowski & Harbord, Berlin (2015), and Alabama Sir, Leipzig (2015). Orr Menirom (b.1985, Israel) lives and works in New York. She holds an MFA from the School of the Art Institute of Chicago (2014) and a BFA from the Bezalel Academy of Art and Design, Jerusalem (2010). In 2016 she was also selected for the residency program at Skowhegan. Menirom has had solo exhibitions at Aspect/Ratio, Chicago (2017); Des Moines Art Center, Iowa (2016); Tel Aviv Museum of Art (2013), and Fafa Gallery, Helsinki (2009). Other recent exhibitions include Iowa City International Documentary Film Festival (2018); Busan International Video Art Festival (2017); Triumph Gallery, Chicago (2017); and ACRE Residency Screening, Steuben (2017). In 2019 she will undertake a residency at the International Studios and Curatorial Program (ISCP), New York. For further information, please contact Katharine Higgs at [email protected] or on +44 (20) 7734 7760.